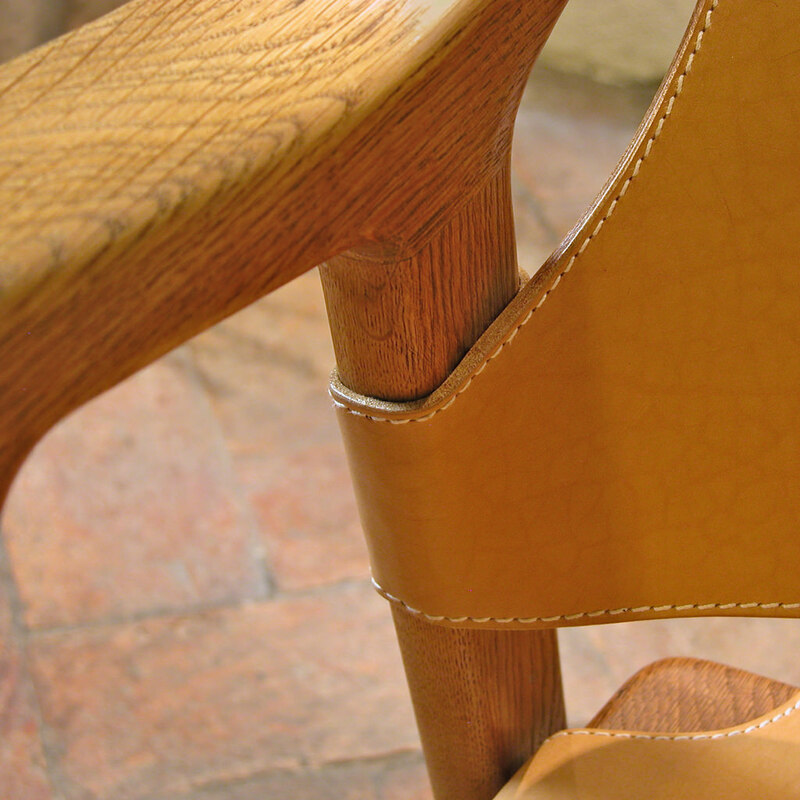 The “Fox” chair, designed by Rolf Hesland captured our hearts. Hesland designed it in the Bruksbo design studio in the late 1950s and it was produced by Haug Snekkeri. The geometric lines of the chair, softened by the gentle curves and rounded corners, give it a restful, inviting air. It was in a poor state when it arrived. The leather was dry and brittle with age and had eventually torn. Dario gave it a new lease of life. 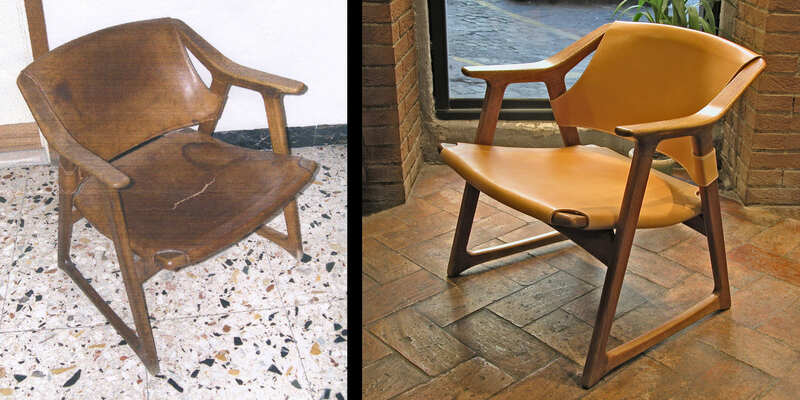 We were surprised to find that when restored it was one of the most comfortable chairs we’d ever tried. A real beauty. Published on October 8, 2013 by Dario Alfonsi.